Awesome Online "Black Friday" deals hand-picked just for you! Some of the best deals out there for you, your home, and your family. All purchases made through this page go to support Pulling Curls, some are affiliate links (you can read my disclosure here). Use the links below to navigate quickly. Don't forget to use Ebates when you shop to save even more! I thought this looked pretty interesting! Paribus monitors stores (Like Macy's) that have a price guarantee (if the price goes down they refund the difference) for you. If the price goes down, you get $$!!! Smart, since I NEVER remember to do that! If you kind of want to set parental controls and let them rule the roost -- THIS is the device for you -- the Circle. It limits all the wifi in your home and you can set limits for each device/child. This is the first device my son hasn't been able to get around and we absolutely LOVE It. I never see it on sale, so grab it today! If you've got a family history buff in your family this might be the one for them! Ancestry.com's DNA testing is the most comprehensive for your heritage. Save 30% through November 28th! FYI, you create an account to purchase it, but the DNA test is done on their own account that they create once they recieve it. Families in the Dallas, Pheonix or Vegas Area! Pogo pass gives you many venues, for the price of just a few! Save 60% all the time using code PULLINGCURLS but this weekend you can buy it with an additional $5 off! That makes it only $35 for several fun options for your family. For us, the zoo, laser tag, rock climbing, a local water park and a couple of amusement parks makes this pass totally worth it! Psst... I also heard the Phoenix pass is going up to $50 at the new year... shhh.... so grab it now! Get Away ﻿﻿Today is the Disney experts, but don't forget that they can book a trip anywhere, including cruises! Boy oh boy, a cruise sounds pretty good about now! Now through November 28th you can save $20 when you use coupon code CURLS10 when you book (normally you just save 10). They also have adults at kids prices! This goes for any 3 day or longer ticket, park hopper or 1-park-per-day passes. Remember an adult starts at age 12 (ouch) so that can lead to a substantial savings!​ Also, if Legoland is in your travel plans -- kids go free! Once you book be sure to check out all my Disneyland tips! Any busy family would totally love the gift of ﻿﻿prime﻿﻿ this year. No only do you get GREAT original TV shows (my husband is so excited about the new Grand Tour he can't even stand it) but having stuff shipped to your door is truly the gift that keeps on giving! Both of my books School Mom & Family Systems are on sale through November 28th. Use coupon code VERYTHANKFUL to get 40% off! Give YOURSELF the gift of life running more smoothly! Either of my prenatal class options are 40% off through November 28th with coupon code VERYTHANKFUL. Oh my goodness! What a cute idea this is! I was always a bit confused as to what to DO with a newborn. This gift is genius! A toy, a book and ideas on how to stimulate that little brain you spent all that time creating! Get 60% off your first month (coupon is already applied) through 11/28! It's no secret I love the Owlet monitor, and have many happy readers. 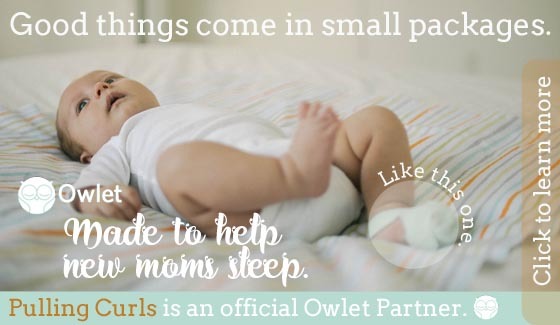 I just saw that you can join their beta program and get an owlet for only $199. Or, buy it for $250 and get free shipping and a gift card. Either way, that's a great deal! Dont' run the risk of getting doubles of a lot of baby items, or things you don't want. Let your family know JUST what you want by registering at Amazon! 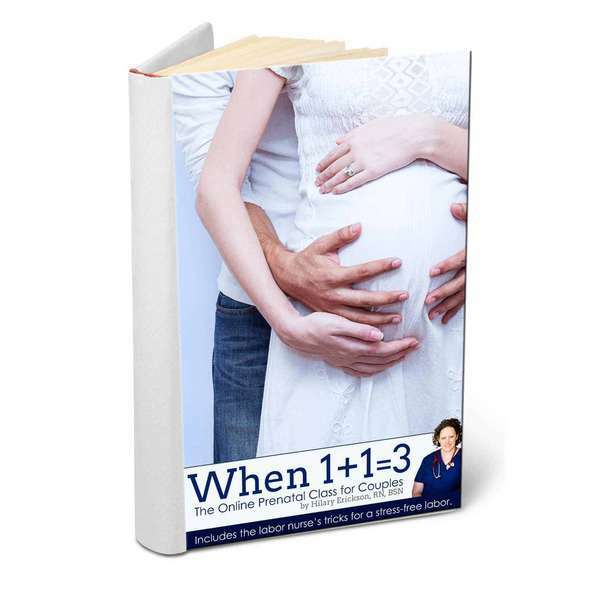 Such a convenient way to shop for the expecting couple! You can also do a wedding registry there (I so wish this was availble back when I got married!)! Of course, there are ladies and gentlemen that would enjoy any of the gifts below! I was given the opportunity to preview this book. If you're LDS and you have a millenial child I can't recommend this book any more strongly. I was having a rough patch with mine. It really made me see him in a new way and love him more. Great advice for all of us, but a great present for a mellenial (and I recommend you read it before you wrap it). Kindle version releases on 12/25! I loved how thoughtful the stamped jewlery is. I love my necklace that has all my kid's names (although, I don't think I love it as much as they do). 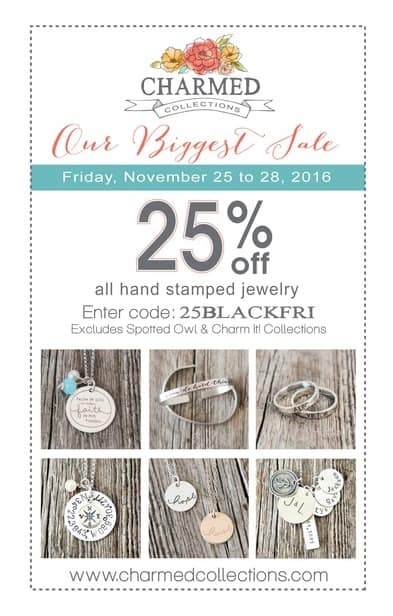 Save 25% off their stamped jewelry this weekend with coude 25BLACKFRI! Man, this would be so handy. You can control your thermostat from anywhere! Even pair with the Alexa! This looks crazy handy, especially when you're outdoors (or even just at Disneyland). This is the actual gift I got my daughter last year. She has absolutely loved it -- and spreading it out over the whole year has kept the Christmas joy in all of our hearts! She looks forward to it, like it's Christmas every month! Don't forget Tinker Crate or Doodle Crate for the older kids (a GREAT gift for crafty girls). Win $100 and learn more about your healthcare costs! Win a Dressing Your Truth course! I hope you find some products here that are helpful!